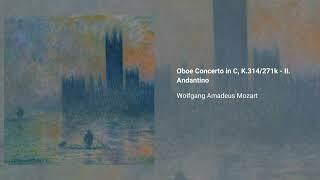 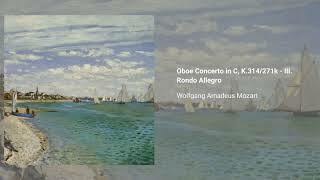 Wolfgang Mozart's Oboe Concerto in C, K. 314 was originally composed in 1777 for oboist Giuseppe Ferlendis, then reworked by the composer as the Flute Concerto in D in 1778. 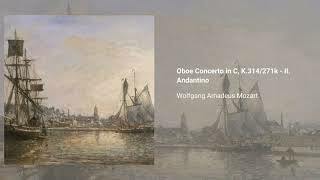 The concerto is a widely-studied piece for both instruments and is one of the more important concerti for the oboe. 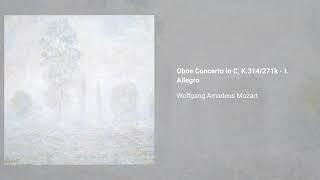 The score calls for a standard set of orchestral strings, two oboes, and two horns in D/C. 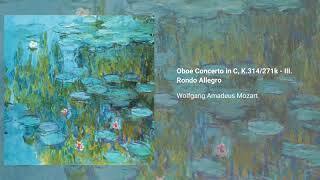 The work is in three movements and lasts about 20 minutes.